Floating oil skimmers, manufactured by Douglas Engineering in the USA, are now available from Baldwin Industrial Systems . 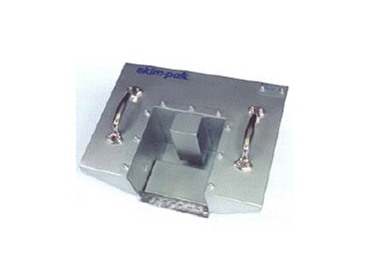 Skim-pak Flow Control Weir models clean oils, foams and other floating materials from water surface. These non-selective, high volume oil skimmers will attract the liquid surface from a 360 degree radius for complete product removal. Light weight and compact, these oil skimmers are easy to use. Available in a range of sizes and materials, skim pak flow control weir skimmers are an ideal solution for most skimming applications. At the entrance to the oil skimmer sump, a floating weir creates a small waterfall which produces the skimming effect. The weir adjusts itself to the proper depth for the flow of the pump. Conversely, the depth of the weir can easily be set by controlling the volume of the pump.